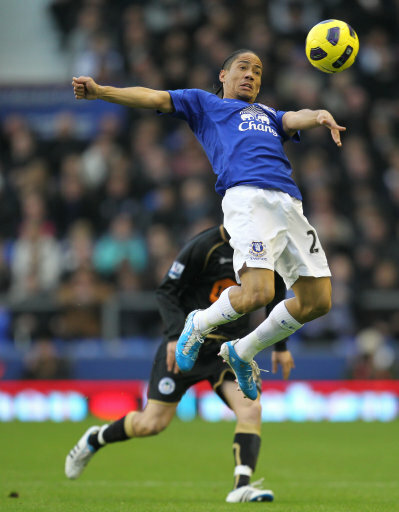 Everton manager David Moyes has admitted that the club may be forced into cashing in on winger Stephen Pienaar while they still can, in order to fund a move for a much-needed striker in January. “It may well come to it in the January transfer window that we have to consider selling Pienaar to raise money, because he is out of contract in the summer. “The sort of money I’d raise, I don’t think it will attract the type of player we need, the type of player we are looking for to provide the goals. With Jo being made available again by Manchester City, it would appear that the fates have aligned! Toffees’ fans rejoice! we had JO twice we hated him, brazillians are supposed to have decent ball skils or pace or a good shot, he just has silly hair and we’ve already got one of those. when pienaar refused to sign a new contract moyes should have put him for sale immediately, once again moyes as dithered like he did with lescot and now appears to have done the same pienaar, the same applies to anichebe let him go now to the highest bidder to me he’s nothing but trouble, the offer of £30,000 a week is well above his worth if you take into consideration the amount of games he’s played, he’s just another greedy player who rated himself high so if he does not have pride when wearing the blue shirt at goodison park what use is he.